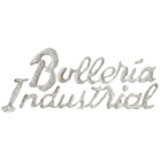 Bollería Industrial / BI. Studio is a Madrid based design studio established in 2012 and integrated by Ana Olmedo, Enrique Ventosa, Eugenio Fernández, and Paula Currás. Interested in research, they propose new critical alternatives to question the narratives that ignore the social, the political or the collective issues. They also focus on design and communication for art, architecture, and diverse cultural agents. They obtained the Master in Art and Architecture with honors at the Universidad Europea in Madrid. They were invited to take part in Master Programs at the University of Alicante and at the ETSAM in Madrid and awarded with the Injuve 2015 grant from the Ministry of Culture of Spain. Bolleria Industrial's collaborations have been part of different contexts like the 14th Venice Biennale 'Fundamentals', the Architecture Lisbon Triennale or the MoMA PS1 in New York.